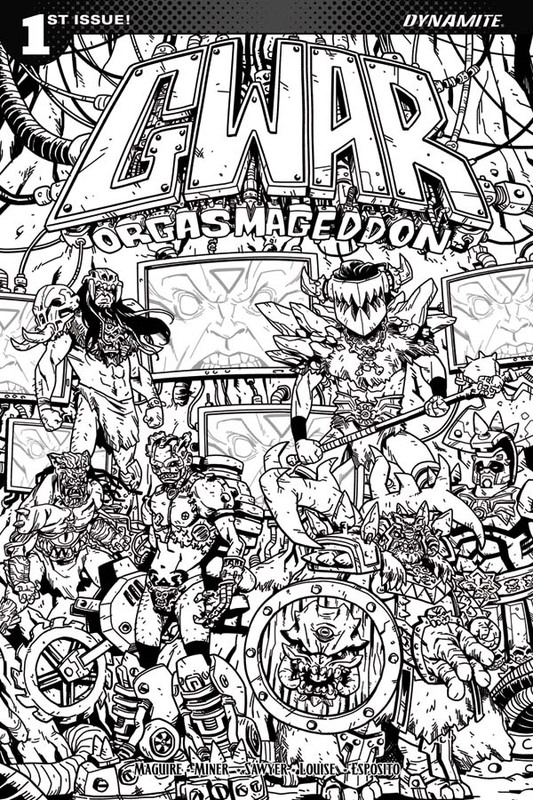 DYNAMITE ENTERTAINMENT AND GWAR UNLEASH ORGASMAGEDDON! Bloodied Barbarians in Twenty Years! March 20, 2017, Mt. Laurel, NJ: Following up on an incredibly successful Kickstarter campaign late last year, GWAR will bring the blasphemous, blood-soaked series that fans demanded to print in June, courtesy of Dynamite Entertainment! 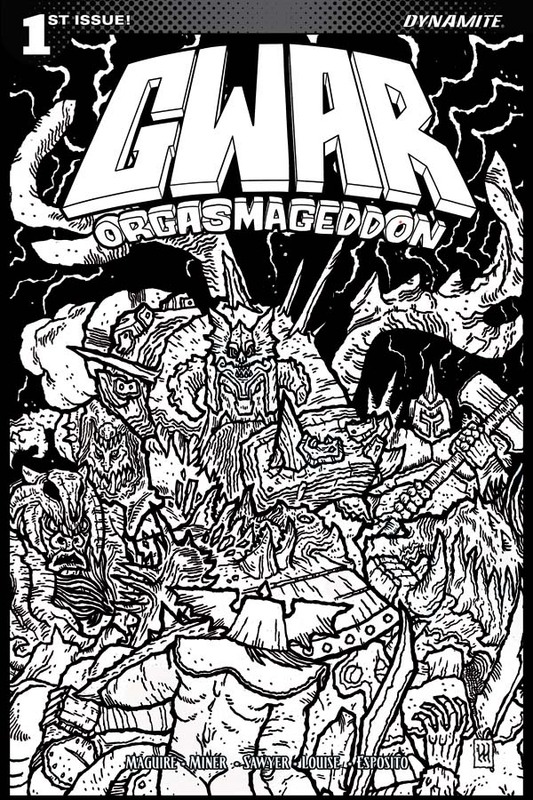 From the depths of outer space to the frozen wasteland of Antarctica, punk rock and heavy metal’s most shocking band of intergalactic blood-spewing alien monsters has returned to kill everything and respect nothing in the pages of GWAR: Orgasmageddon! Banished to the past by the cold and calculating Mr. Perfect, the heroes of GWAR trample through time like a deranged Bill & Ted on bath salts. Antics ensue as they stomp and smash and shape human history to what we accept as our current reality. 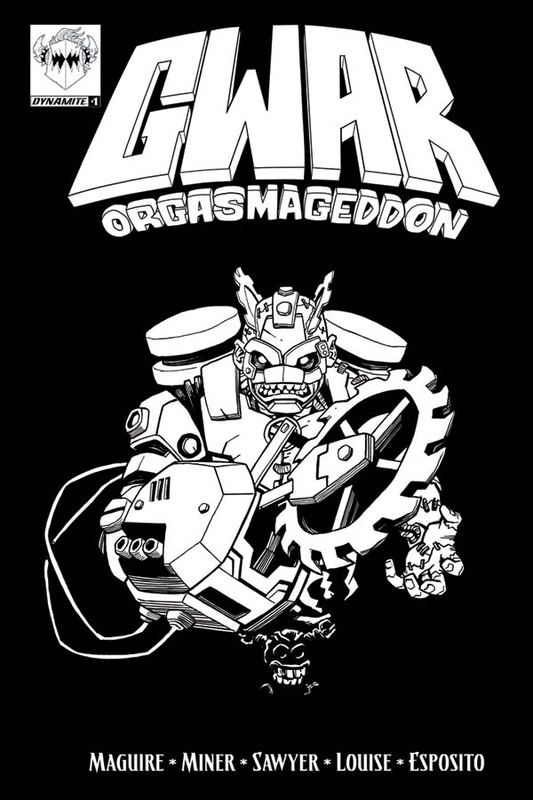 Co-written by GWAR themselves and Matt Miner (Toe Tag Riot, Critical Hit), and featuring art by Jonathan Brandon Sawyer (Welcome Back, Critical Hit), GWAR: Orgasmageddon is a love letter to comics, grindhouse movies, and heavy metal, sure to appeal both to the most die-hard fan and the comics fanboy/fangirl intrigued by the prospect of social awareness drowned in geysers of blood and alien goo. 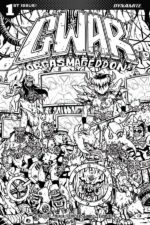 GWAR: Orgasmageddon #1 will be solicited in Diamond Comic Distributors’ April 2017 Previews catalog, the premier source of merchandise for the comic book specialty market, and slated for release in June. Comic book fans are encouraged to reserve copies of GWAR with their local comic book retailers. 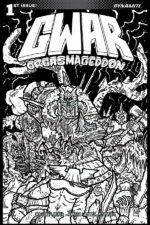 GWAR: Orgasmageddon will also be available for individual customer purchase through digital platforms courtesy of Comixology, Dynamite Digital, iVerse, and Dark Horse Digital.